3 Bedroom End of Terrace House For Sale in Taunton for Asking Price £237,000. 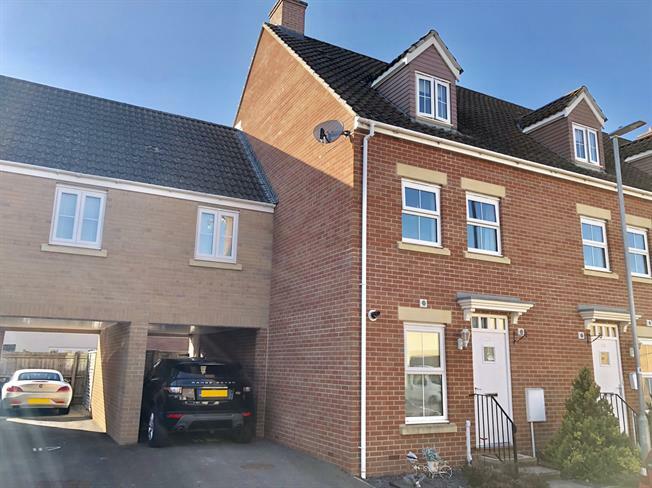 Extended and improved by the current owners, this three double bedroom townhouse offers substantial modern accommodation over three floors. In brief, the property comprises entrance hall, a separate kitchen, a spacious lounge ideal for entertaining, and a separate reception room leading to the rear garden. On the first floor, are two double bedrooms and a family bathroom. The master bedroom is on the top floor as well as as dressing room and a master en suite. Externally, there is parking for two cars and a west facing rear garden.